We’d love your help. 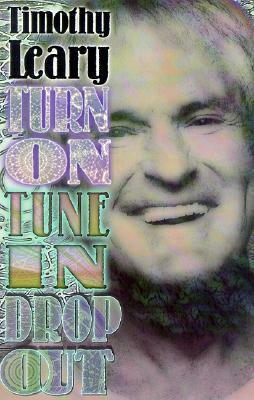 Let us know what’s wrong with this preview of Turn On, Tune In, Drop Out by Timothy Leary. "Trickster is a major figure in American Indian folk Wisdom. Also in Sufi Tales … a certain type of "rascal"-with a grin and a wink (and wisdom beyond wisdom) … in the Zen tradition this is known as the School of Crazy Wisdom … Timothy Leary-in his own inimitable way-has become the twentieth century's grand master of crazy wisdom …"
To ask other readers questions about Turn On, Tune In, Drop Out, please sign up. Listened to the audiobook and found it very soothing. So soothing, in fact, that it sent me to sleep on numerous occasions. I was surprisingly impressed by this book. My impression of his "followers" (many of them who did not seem to fully grasp what he was saying when he said to "drop out") made me think that he was just this quack. However, I found out that his view on drugs was much like my own.....the need to take what you learn while on them and apply them to your life. Leary's recipe for society obviously involved his favorite love, but also, a different way of thinking. A collection of essays. Groundbreaking for its time. Fascinating. A creative crazy genius. Definitely will be reading his other books!